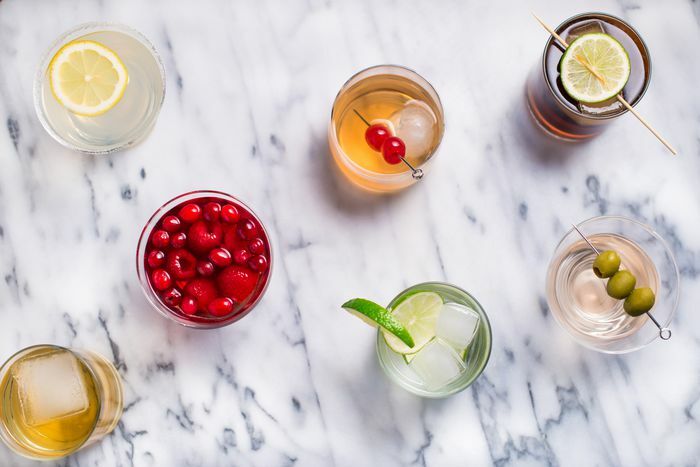 Perhaps cocktail making is a bit of a hobby for you, and you really apt to learn as much as you can about crafting some delicious drinks. For this, it may make more sense to buy a complete kit or set rather than buying à la carte. Nosiva’s Bar Set is a 17-piece complete bartender kit for novices and experts to both enjoy. The whole set is made of stainless steel, so it is uniform and aesthetically pleasing to meld into any kitchen or home. This kit includes a 24-ounce cocktail shaker, ice bucket, corkscrew, ice tong, strainer, muddler, stirrer, jigger, four bottle pourers and four bottle poppers. Each piece is also dishwasher safe, so go ahead and get great use out of your kit, then throw in your dishwasher without having to worry about ruining your new set. 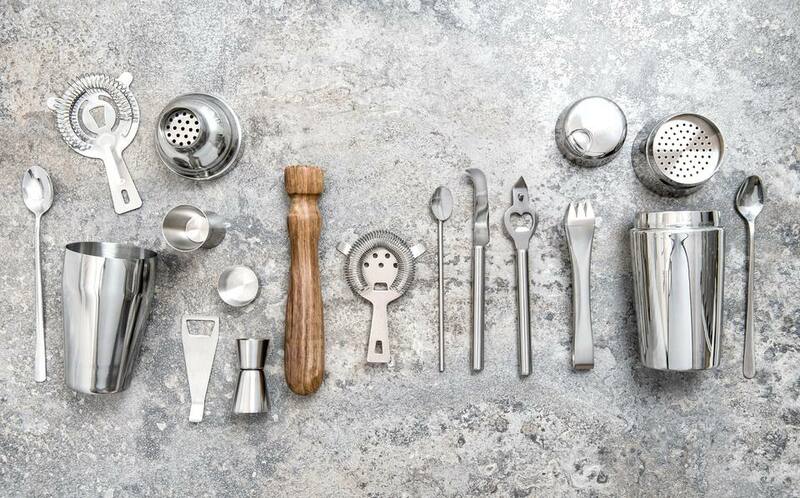 If you are just looking to have a few bar tools on hand for when company comes over or for the occasional specialty cocktail, then the Mixologist World cocktail shaker set does just that. Complete with a shaker with strainer, double jigger and mixing spoon you'll have all you really need to mix up such classic like a martini or cosmopolitan. This set also includes a recipe book so you can try your hand at a few new recipes as well. OXO’s Steel Cocktail Strainer will do the trick for just about any drink your craving. This model is made of stainless steel to effectively strain ice and fruit for your best cocktail yet. It also has a non-slip finger rest for a flawless cocktail every time. Plus, it’s dishwasher safe, which is always convenient rather than having to scrub this piece by hand. If mojitos are your drink of choice then having the best muddler in your arsenal is a must. While wooden might seem like the best choice, stainless is better because it leaves less residue in your ingredients. This version is an Amazon bestseller with over 700 reviews and 87% being five stars. The 10" muddler let's you muddle citrus, herbs and more to their desired consistency easily with its long handle and comfortable grip. This comes with a two-year warranty so you know it will hold up into all your drink making sessions. A mixing spoon helps you stir up liquid contents in a tall Collins glass or perhaps a pitcher full of sangria. This 12" spoon can get to the bottom of practically any sized vessel and it has a twisted grip to make your stirring slip free. Made of 18/10 stainless steel this spoon will be with you for the long haul. This spoon also has 87% five-star ratings so you know it is a winner. A jigger helps you measure out the perfect amount of alcohol for your desired beverage. This double jigger has one side that holds 1 1/2 ounce capacity with 3/4-ounce and 1/3-ounce increments and the other side measures 1/4-ounce, 1/2-ounce and 1-ounce increments so you can get the exact measurement to the 1/4 ounce for any drink you are crafting up. This jigger is dishwasher safe making cleanup a breeze. If frozen cocktails are your thing a blender is a must. A standard blender will generally do as long as it can handle ice well. The Hamilton Beach Power Elite Blender & Chopper gives you 12 different blending options so you can whip up a frothy or slushie concoction. This is a two-in-one product: a chopper and blender. Perhaps you are thinking of making some kind of fruit-infused cocktail. You can use this blender to chop up some of your cocktail items, and then use it again to blend a yummy frozen drink. Lemon and lime can zest up almost any cocktail. And many drinks also incorporate citrus, so having a juicer on hand could be essential to nailing the perfect drink. There’s no need to get fancy with this, a manual juicer will do the trick to assist you in getting your cocktail right the whole time. The Metal Lemon Lime Juicer from Zulay Kitchen helps you get every last drop of juice from your lime or lemon. They use a citrus press system that effectively squeezes your fruits and eliminated any pesky seeds that lay inside of them. It is as simple and slicing your lime or lemon in half, sticking it in the juicer and squeezing. That’s it. The bowls are metal rather than plastic, which is perfect for handling even the toughest of fruits. You can virtually clean it in seconds as well, and the material is dishwasher safe.